Cell phones might cause cancer. Then again, maybe not. Figuring out which is the case begins with rats. Scientists trying to answer the question will dose the little critters with radiation and look for tumors. Well, tumors showed up in a recent study and people are worried. News stories today in Mother Jones, STAT, Scientific American and elsewhere reported (with varying degrees of skepticism) on some pre-publication data implicating that cell phones may indeed cause certain types of tumors in mice and rats. Which could be important, if true—the study hasn’t been scientifically vetted yet. And rats are just one early step in identifying whether a real risk to humans exists. In order to get from a rat’s tumor to a human cancer risk, you have to do a lot more science. Rats, mice, zebra finches, flatworms, beagles, bunnies, and other animals are known in the scientific community as model organisms. “The only reason we use them is because we can’t deliberately expose people to things like toxins and radiation,” says David Rocke, biostatistician from UC Davis. Lab animals also let researchers control various exposure rates, and allow for a more deliberate, scientific approach than say, rounding up a bunch of millennials and scanning their heads for smart phone damage. And scientists have gotten good at interpreting those results. 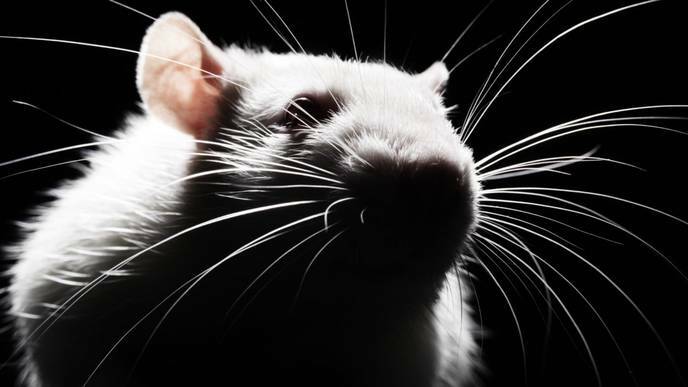 Rats have been a go-to test subject for cancer research for decades because scientists know their tumor responses and genetic sequences inside and out. “But still, mice, rats, any animals are imperfect models,” says Ralph deVere White, director of UC Davis’ Comprehensive Cancer Center. For instance, cancer drugs developed using mice have a 96 percent failure rate when used on humans. Not to say that researchers shake off whatever findings they get from mouse or rat studies. It’s just that turning those findings into something scientifically grounded takes real work. To start, they have to look at the study itself. Was it set up with legitimate scientific parameters? Did the affected animals have other genetic predispositions to tumors? Were there more tumors than one would normally expect in a population of animals this size? Where the calculations analyzing the number of tumors found done in in a reliable way? Was that data interpreted correctly? “It’s up to the researchers to prove quality of science before people become worried,” says deVere White. In this case, many people leapt right to getting worried. And most important, was all of this peer reviewed? For any research to pass muster, it must first be looked over by non-affiliated scientists familiar with the field. “Even though this research does come from a reputable group at the National Toxicology Program, somebody has to check this stuff out,” says David Rocke, UC Davis biostatistician. Until peer review, anything written—in the scientific literature, or popular press—is speculative. Actually, even stuff that has passed peer review can be pretty speculative, but that’s another story. But let’s say these results—after being carefully vetted—get the scientific okay. “If it is true that the rats’ doses are comparable to what people get from cell phones, and they have an elevated number of tumors, and the study has no design flaws, then the study is certainly a matter of concern,” says Rocke. This is not “stop the press!! !” concern. It simply means researchers have to follow up, figure out if the tumors indeed came from radiation. This means examining the tumors for signatures associated with radiation. You would also analyze the rat’s individual genes, the full genome, metabolites, and so on, to see if the factors that caused this tumor in the rat could also cause a tumor in a person. Also dosage. Rats are also much smaller, so smaller amounts of radiation might have big effects on their little bodies. “Anything can kill you if you get exposed to enough of it, even water,” says Rocke. In today’s controversial cell phone cancer rat study, the rats were exposed to much higher rates of radiation than your typical cell phone-using human—nine hours a day, for months, even years at a time. Those that developed tumors ended up being dosed with five to seven times as much radiation as is typical for human cell phone users. Even your Snapchatting tween brother getting that much radiation. Rocke and deVere White looked over the paper—published on biorxiv—and both say the data is incomplete. Moreover, it is part of a larger study on radiation exposure risk that could provide valuable context. “I mean, generally speaking, if something causes cancer in rats or mice we tend to worry about it,” says Rocke. But this study is way too preliminary to begin worrying. Not even the people behind the study are really calling for you to chuck your iPhone out the window.“What we’d really like to see is this study put the regulatory framework on the basis of a biological effect rather than a heating effect,” says John Bucher, Associate Director of the National Toxicology Program. Currently, allowable cell phone radiation is capped at levels that won’t heat your head up more than one degree centigrade, on the basis that the warming might cause damage. They want to explore if various exposure rates trigger a biological limit for cancer risk. This study is part of an effort to establish that biological limit—if it exists. Until then, don’t worry.